The period where I was in possession of the Earphone 12 but the ap had yet to be released was spent using them in an entirely conventional manner. The overall impression was fairly positive. Once I had made the substitution to a curved dome, I was able to get a good fit and this combined with the relatively light weight of the housings means that wearing the Earphone 12 for long periods isn’t a problem. Literally the only gripe I could level at them is the ‘Y’ shaped section of the cord is rather short so has a habit of brushing against the side of your face. Running without the Dirac DSP, the Earphone 12 should be seen as a well implemented dynamic driver earphone. The bass response is strong, detailed and impressively controlled. The decision to use a relatively large driver has resulted in a pair of earphones that can present a realistic portrayal of bass in its many forms. As well as the thud of a kick drum, the swell of the string section of an orchestra or a bass guitar is equally well captured. Much as I generally prefer armature designs, there are some clear advantages to using a dynamic driver in some cases. In the upper registers though, the balance is redressed slightly. The XTZ is comparatively well sorted but there are still limitations compared to a well sorted armature design. There is a sense that the top end is slightly rolled off and there is a fairly pronounced mid band hump that makes certain pieces of music sound slightly congested. The result is still perfectly listenable but spending an extra £20 on a pair of Shure SE215’s would result in a more balanced performance. The Earphone 12 is competitive for the price but other designs do have some performance advantages. The sensitivity is impressive however. The XTZ doesn’t need a huge amount of power to go impressively loud and there is practically no sense of hardening or distortion even under considerable provocation. As I mentioned earlier, the supplied fittings leak a fairly large amount of sound but this dropped off considerably once I changed the buds over. The DSP ap is free and found- logically enough- under ‘XTZ.’ Once installed, it serves two purposes. The first is an interface for the Dirac DSP control. This is not user customisable and is effectively an on/off setting. There is additionally a ‘Boost 1’ function that acts as a sort of EQ boost. The second is the access point to your music as found in the ‘Music’ category of your iDevice. You can search for music by artist, album, songs and playlists. Access is quick, seamless and almost exactly the same as the standard ap. Switching on the DSP for the first time is surprising for two reasons. The first is that the changes the DIRAC processing actually implements is not that pronounced. The second is that despite this, they are unquestionably effective. I had been listening to John Powell’s fantastic score for The Bourne Identity before installing the software and the midrange hump had been pronounced and very noticeable. Engage the DSP control and the effect is unambiguous. 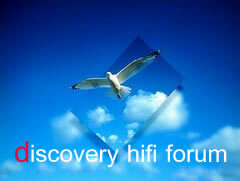 The hump is immediately reduced and the result is cleaner, faster and easier to listen to. A longer listening session reveals that the DSP software is a very fine example of the genre. It is entirely unobtrusive but unquestionably effective. The positive aspects of the XTZ are still entirely present and correct. The bass remains tight, deep and entertaining but it is now paired with a midrange and treble that is much more competitive with armature designs. Across a wide variety of music, the XTZ simply sounds cohesive and together and with anything that makes use of that excellent bass response, it really is a lot of fun to listen to. You can have too much of a good thing though. The ‘Boost’ function is impressively subtle for something called ‘Boost’ but can still sound somewhat boisterous when activated and for most listening I simply engaged the DSP and left the boost switched off. It is a nice enough option to have but it might have been more effective still to have a few DSP settings for a bit of fine tuning. A bigger problem than the lack of DSP options is the lack of DSP full stop when you stop listening to music stored via iTunes. The moment you switch over to Spotify or iPlayer radio, the Earphone 12 loses that fantastic signal processing and takes it right back to the start. I don’t have any data for the breakdown of listening that people carry out with an iPhone or iPad and can only speak for myself but the ratio of hours spend listening to Spotify compared to the iPhone ap is getting on for ten to one. For me at least, I would be buying a pair of earphones that only performed at their best for about 10% of the time.